If you have gastroesophageal reflux disease (GERD) or even a less serious case of heartburn from time to time, as I’ve had, you’ll certainly be eager to have easy strategies to nip the burn in the bud. Heartburn and GERD happen when the lower esophageal sphincter loosens and stomach acid flows back up the esophagus. 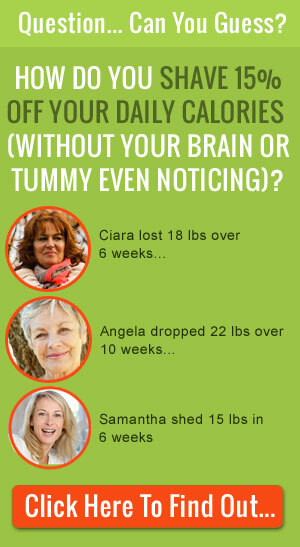 This can happen for a variety of reasons — from over-active stomach acid, to drinking too many caffeinated or alcoholic beverage or even stress. Test out these healing superfoods that will boost nutrition while soothing the burn. Pair them up with some simple lifestyle changes that may quench the burn for good. If you suspect you have GERD, the more serious condition than just the occasional heartburn, definitely consult your physician since it can lead to other even more serious health problems. 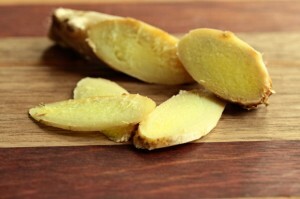 I consider ginger to be the #1 superfood when it comes to nagging GERD or to stop a acid reflux flare up in its track since I’ve used it often for myself with amazing results. Ginger contains the active ingredient gingerol that works as an anti-nausea and anti-spazmotic, which may have some effect on the lower esophageal sphincter to tighten, stopping the flow of acid. While there are no substantial medical studies to prove this, ginger is a powerful anti-inflammatory and antibacterial root that you should include in your meals regardless, and it tastes great. Add it to soups, stir fried veggies, rice or quinoa dishes by removing the peel with a vegetable peeler and start with 1 tablespoon minced. 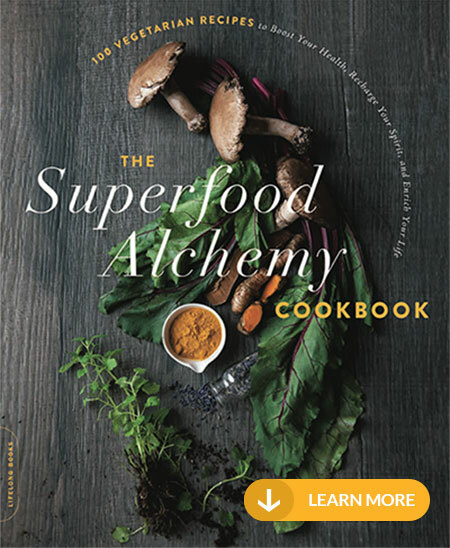 Cook in a healthy oil (like olive, safflower or coconut) then add your veggies or grains. To use it medicinally, prepare it in this simple tea — or for faster results chew a peeled, dime-size piece (be prepared it’s pungent) and chase with a 1/2 cup room temperature water. 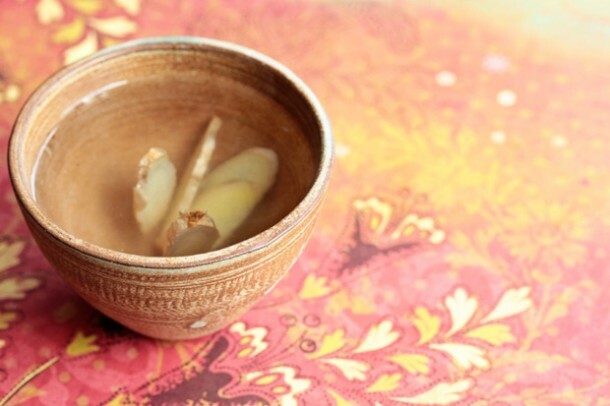 In a small saucepan, bring 2 cups water, ginger, and cardamom pods to a boil. Strain and serve in coffee mugs. Try good old fashioned oats for a high-fiber, soothing breakfast that experts say can calm your heartburn (because the high-soluble fiber content soaks up acid in your stomach). 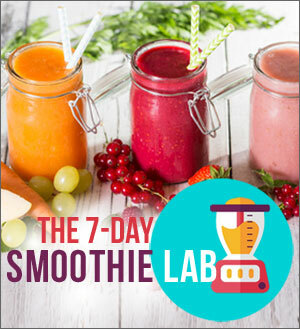 Avoid the sugary toppings and fruit as well as prepackaged instant flavored oats. Instead, go plain-jane or if you must, sweeten with a little stevia. Add one of the GERD healing spices such as minced ginger, a pinch of ground cinnamon, or try something new — ground cardamom. Black or green cardamom, along with other spices can stimulate digestion, decrease bloating, and most importantly decrease inflammation. Ground cardamom might sound exotic but all the major spice brands stock it and you’ll find it close to cinnamon in the spice isle of your local grocery store. 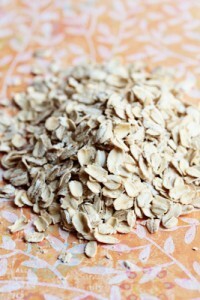 For best results, keep your oats basic, free from dairy, butter, nuts or oils since any fat can flare gastric juices. If you can, go for gluten-free oats since gluten can be an irritant or allergen for many people. Fennel seed has been revered for centuries in folk medicine for its ability to calm the digestive system and even sweeten your breath. Its active ingredient anethole has antimicrobial properties that can impede or even kill harmful bacteria, yeast, and fungi as well as slow the growth of cancer tumors in small trials. 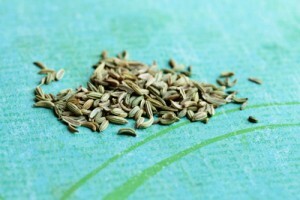 Fennel seed, like cinnamon, has a naturally sweet flavor that works well in a wide variety of uses as a topping for roast chicken or pork, added to cooked veggies or tossed into olive oil-based dressings in place of vinegar or citrus. Or try this sweet, mild fennel tea that is delicious hot or iced. In a small saucepan, bring 2 cups water with cilantro and fennel seeds to a boil. Strain and serve in coffee mugs. Apples are naturally high in acid-blocking plant-fiber pectin, a soluble fiber that can swell in your stomach and help to keep you feeling full. While the skins of apples can be harder to digest, cooking them softens the tough outer skin, turning a naturally sweet apple into the ideal breakfast food or tempting dessert. Try this slow-cooker version that does a whole batch of apples at once so you can use the leftovers throughout the week as a healthy snack, dessert, or fast breakfast on the go. 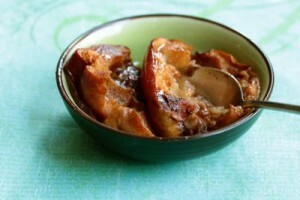 If you don’t own a slow cooker, baked these tasty apples in a toaster oven. For 2 servings, cover the baking tray that comes with your toaster oven with parchment paper or coat with cooking spray. Cut an apple (any variety) in half and core it. Place it core side up on the prepared tray and sprinkle it with cinnamon or ground cardamom. Coat with a thin layer of cooking spray and bake at 350°F for 1 hour then serve. 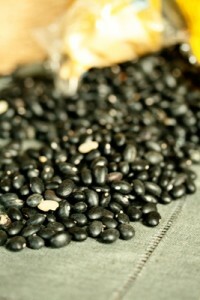 Beans, like apples and oats, are another great source of fiber and are surprisingly high in anti-oxidants. They can be whipped into a wide variety of meals and flavored with your anti-GERD spices like ginger, cardamom, and fennel. Stock your pantry with a wide variety of low-sodium canned beans or go for black or kidney beans to get the highest antioxidant load (since these protective compounds hang out in the rich color of their skins). Rinse them well under cold running water to improve their flavor and toss into your soups or make a tasty quesadilla from the meal plan. Bean purists will soak their dried beans and cook them from scratch (which is definitely a low-sodium option best done in a slow cooker). If you don’t regularly eat beans, ease them into your diet to avoid excessive gas by starting with just 2 tablespoons at a time. Tweaking your eating habits along with other lifestyle habits can have a big impact on soothing your GERD and nipping flare-ups in the bud. 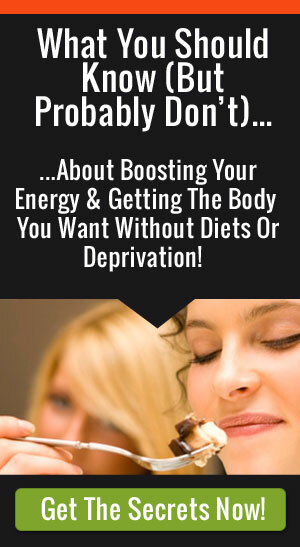 For starters, take more time while eating your meal and chew your food well. Avoid late-night snacks or hitting the hay on a full stomach. Slightly decrease the portion size of your meals, even by one or two bites, especially dinner. Choose lower fat options for all your meals since fatty foods, especially fried foods and take-out, can loosen the lower esophageal sphincter (LES). Follow the low fat meal plan to incorporate as many of the GERD healing foods as possible. Swap tight fitting jeans that can press on the stomach, and its contents, for outfits that have a softer more relaxed waistband. Don’t lay down after eating and skip the post meal dessert if you are full or don’t have a healthy low-fat option.